Measuring inconsistency degrees of inconsistent knowledge bases is an important problem as it provides context information for facilitating inconsistency handling. Many methods have been proposed to solve this problem and a main class of them is based on some kind of paraconsistent semantics. 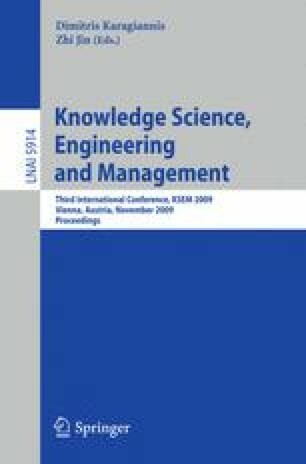 In this paper, we consider the computational aspects of inconsistency degrees of propositional knowledge bases under 4-valued semantics. We first analyze its computational complexity. As it turns out that computing the exact inconsistency degree is intractable, we then propose an anytime algorithm that provides tractable approximation of the inconsistency degree from above and below. We show that our algorithm satisfies some desirable properties and give experimental results of our implementation of the algorithm. We acknowledge support by OSEO, agence nationale de valorisation de la recherche in the Quaero project.